Turkish Football Federation has determined the FIFA Referee List of 2011 and the list which includes totally 28 referees, has been forwarded to FIFA and has been also accepted by FIFA. 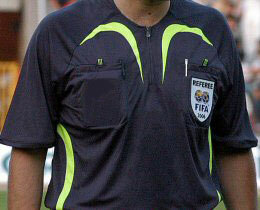 Yıldırım will be the FIFA Referees of TFF in 2011 that they was also classified in the same category in 2010. One addition to previous year's list that Tolga Özkalfa becomes a FIFA Referee for the first time in 2011.